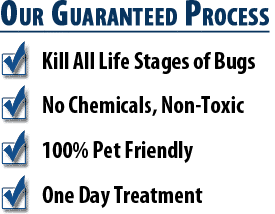 At Phoenix Bed Bug Expert, we offer two methods that guarantees a bug-free home environment – either a bed bug heat treatment or bed bug chemical treatment. Bed bugs represent the worst possible violation of personal space. They deprive you of sleep, peace of mind and cause painful bites and untold suffering. 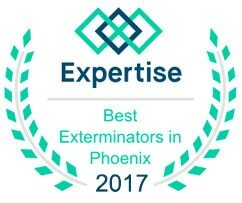 Fortunately, at Phoenix Bed Bug Expert, we are equipped to rid your home of these annoying little parasites and we guarantee you will once again have a comfortable home environment. 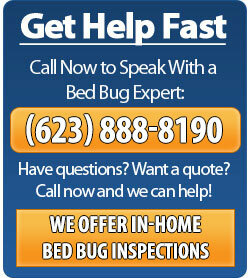 If you believe you may have bed bugs, don’t hesitate to give us a call. 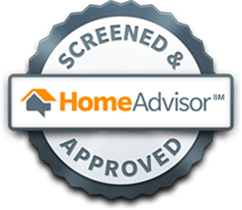 Our licensed and certified team of Bed Bug Experts can detect any bed bug infestation. With thousands of successful bed bug treatments, we know all about where bed bugs like to hide and the best way to exterminate them. 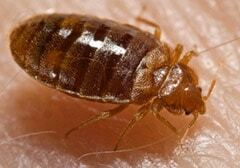 Adult bed bugs are small sized, about quarter an inch long or the size of an apple seed. Their shapes depend on their feeding activities. Long and brown with flat oval-shaped abdomen when unfed and elongated, balloon shaped and reddish-brownish color when fed. Their eggs are tiny, the size of a pinhead, and pearly white in color. Eggs that are more than five days old have an eye-spot. Females lay up to 300 eggs a year, which hatch into nymphs after about five weeks. Young bed bugs, known as nymphs are smaller in appearance and are translucent or whitish/yellowish in color. Bed bugs produce a characteristic pungent smell and leave reddish stains on bed sheets after they are crushed. They also leave dark spots on the mattress, walls, or any other hiding place where they congregate. When they are not feeding, bed bugs hide in a variety of areas. In the bedroom, they inhabit the seams and tags of the mattress and in the cracks of the headboard and bed frame. In heavy infestations, they appear in chairs, couches, drawers, wall hangings and electrical receptacles.